The artists listed here have been confirmed for the 2019 Festival but other acts are being added all the time! Please check back in a week or two to see who else is taking part. 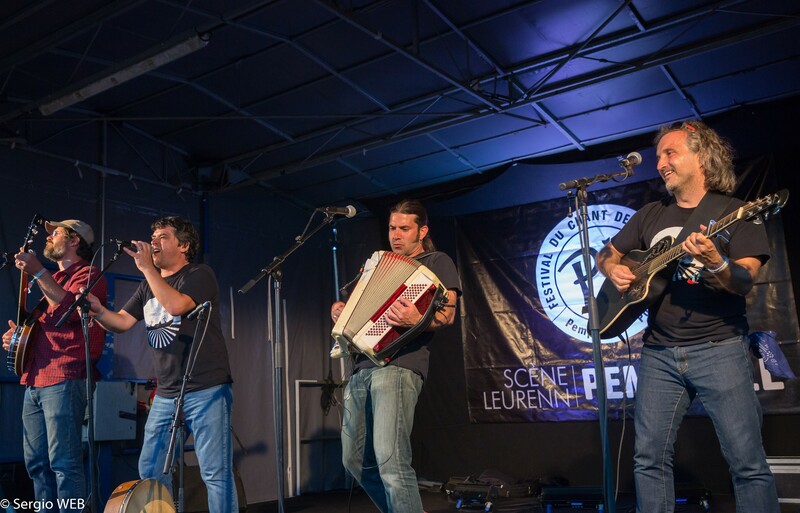 Brise-Glace (Icebreaker) is a band of 4 French Canadian musicians/singers playing accordion, banjo, guitar, bodhran and washboard. They sing maritime folk from Quebec, the Canadian Maritimes, Brittany and North America with passion and energy. Like the crews of ships in centuries past, this crew come from a variety of different backgrounds and use rhythm and music from Europe, Canada, American folk, Manush and Cajun. Feel free to dance, sing and clap along! Brise Glace have performed throughout Canada, Europe and the U.S and will also be appearing at Paimpol this August. 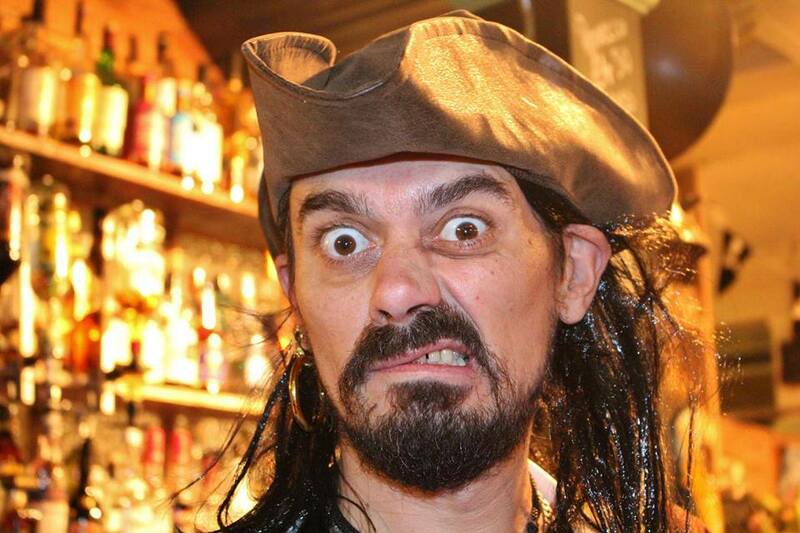 Check out their international shanties podcast “Bordel de Mer”. Four singers and musicians from France singing traditional songs of sea and river, Carapata combine the talents of Bérengère Le Cain, Emmanuel Pariselle, Séverin Valière and Miguel Biard (whom some of you might recognise from a previous incarnation!) 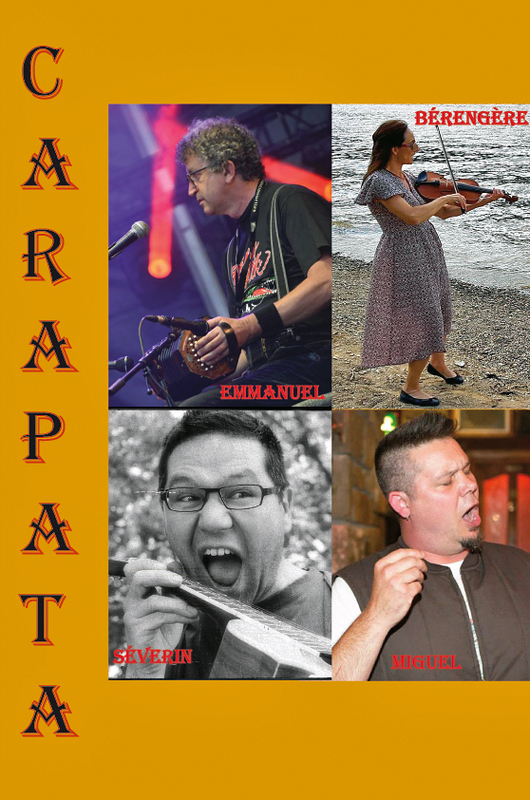 Playing a variety of instruments including fiddle, accordion, guitar and concertina, Carapata combine their musical talents with superb voices and an in-depth knowledge of French maritime songs. 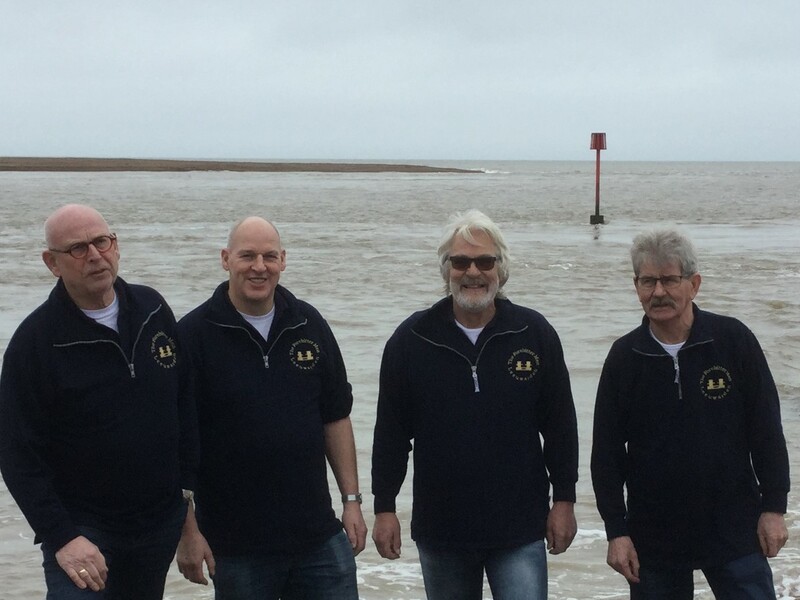 The Forebitter Men from Leeuwarden in the Netherlands will be making their second visit to the U.K. this year as they also performed at the Shantycafé in Felixstowe, back in April. 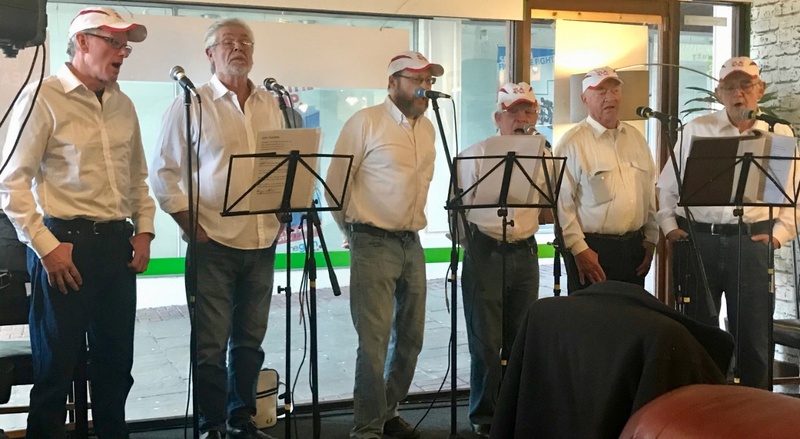 They sing mainly acapella, occasionally accompanied by harmonica, bodhran or guitar and are veterans of several shanty festivals both at home and abroad. Danish Shanty Crew Stork Ejlaender come from the island of Fano off the Danish coast. They call themselves after the storks which return to the island for the winter, just as the sailors did in days gone by. Their style of singing is as authentic as possible to the shanty singers of the past. 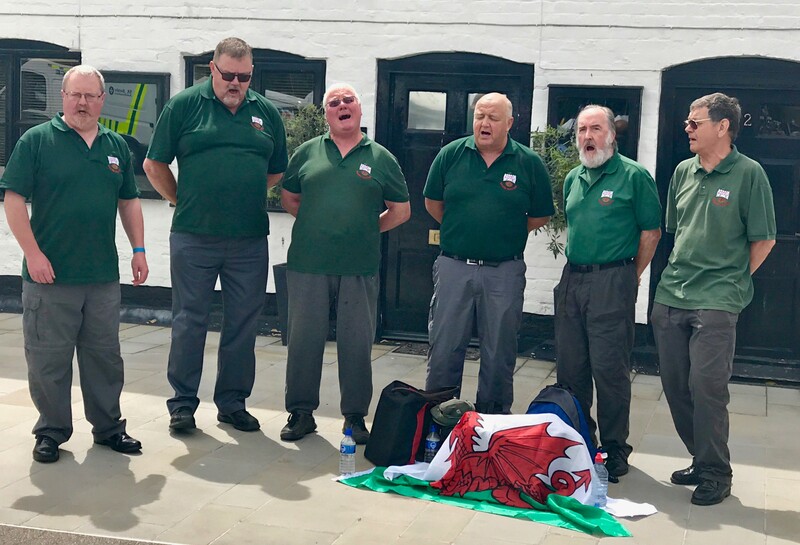 Baggyrinkle Swansea Shantymen have been singing together for 25 years now. 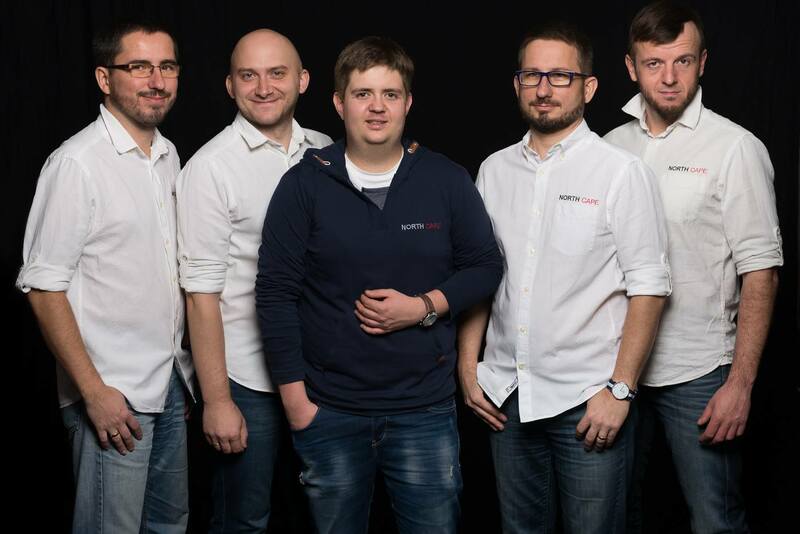 Coming from all walks of life, the current line-up consists of up to 7 singing men and one female manager to keep them in line! Performing all over Europe and the USA they sing traditional and contemporary songs of the sea in three part harmony. They have also gathered a fair number of folk songs including drinking and mining songs which they perform at suitable venues. 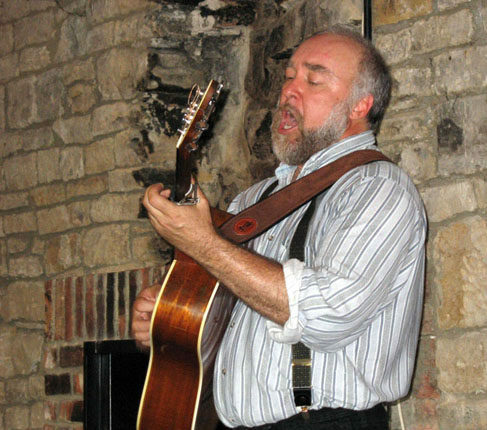 An engaging Nova Scotian performer with a glorious baritone voice, dextrous guitar work and intelligent, well-observed story-songs, Dan McKinnon’s performances bring alive the history and spirit of our collective past. He has appeared at Festivals and clubs throughout Canada and the USA, Great Britain and Australia. New to the Festival this year, The Silver Darlings combine beautiful harmonies with an energetic and engaging performance. Their home town of Southend is steeped in the fishing and cockling industries, drawing them naturally to sea shanties, the sailors’ working songs, telling stories of their culture and heritage. The crew are passionately committed to ensuring that these songs remain in the public domain and are not lost at sea. 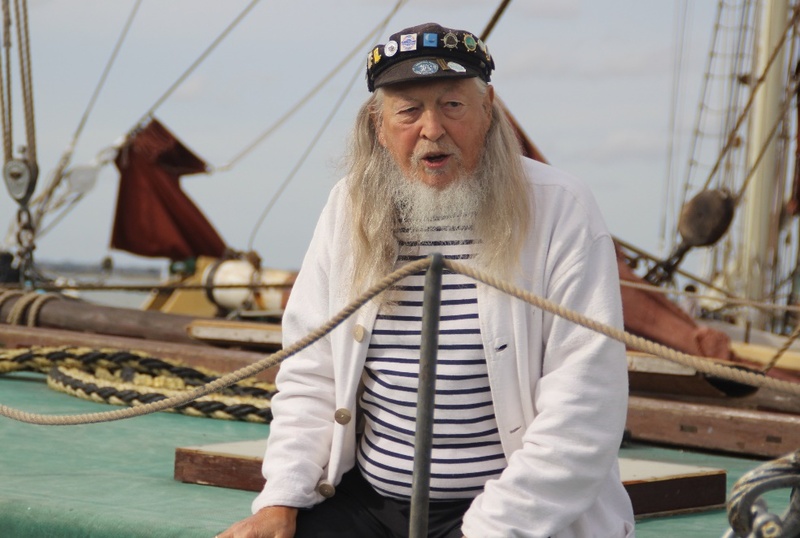 Geoff Higginbottom has been singing Sea Shanties since the day he first went paddling at Blackpool. As well as singing shanties, he has a vast amount of knowledge on the subject gleaned from his holiday job in 1975 working on Heaton Park boating lake. Geoff sings very loudly, because he can and accompanies himself on guitar and mandola as well as singing unaccompanied. 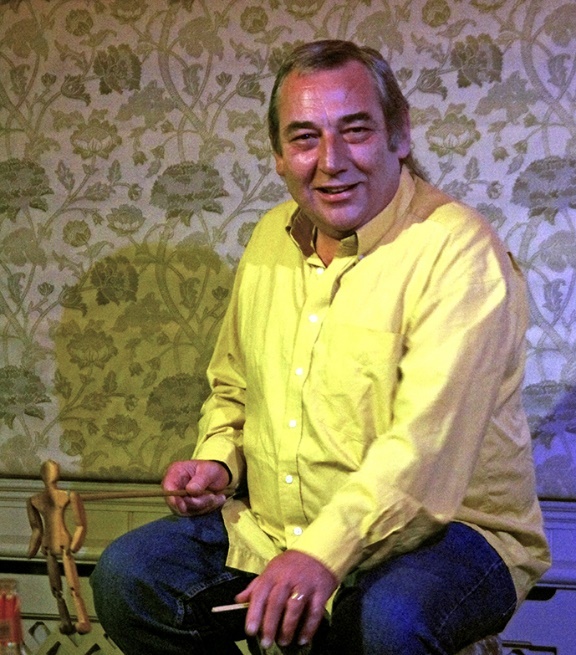 He becomes a duo when joined on stage by Woody the dancing doll (pictured) who is quite clearly the brains of the outfit. Make sure you bring your singing voice to any of his concerts (and possibly ear defenders). North Cape have been singing acapella shanties and sea songs in harmony since 1995. They perform all over their native Poland and have won prizes at several national competitions. 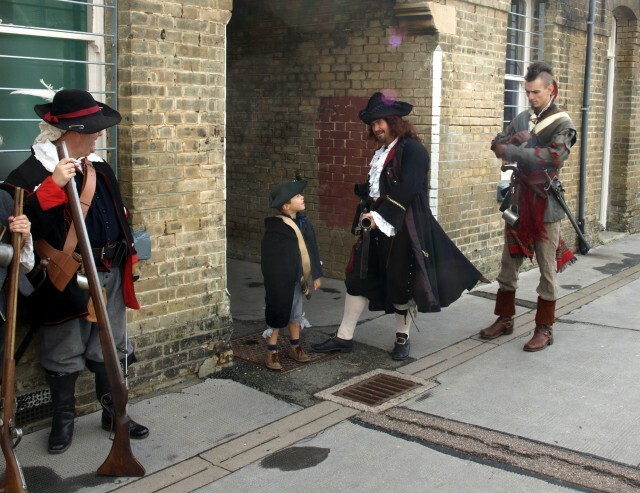 This will be their second visit to Harwich after a gap of a few years and we are very pleased to welcome them back. Rum Old Boys are from Woodbridge, just a short boat ride away up the River Deben. 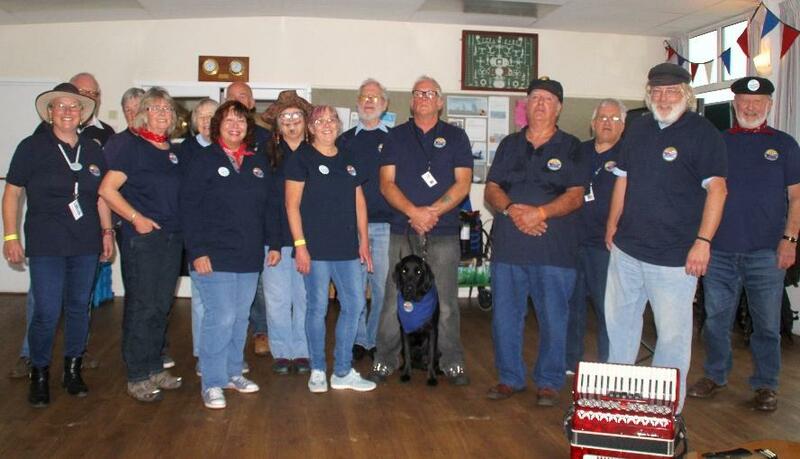 They enjoy singing shanties and songs of the sea and have collected for charity at various local events. Join them for the first time here in Harwich. 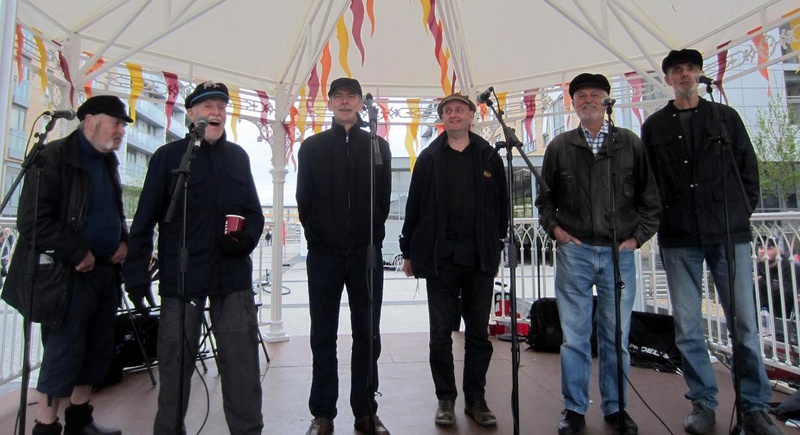 Sheringham Shantymen have been singing together since 1990, still with some of the original personnel. During that time they have entertained over 1000 audiences both at home and abroad. They support the RNLI as a main charity and are the only organisation outside the RNLI with permission to display that insignia within their badge, an honour of which they are rightly proud. This is their second visit to Harwich and they are delighted to be back. 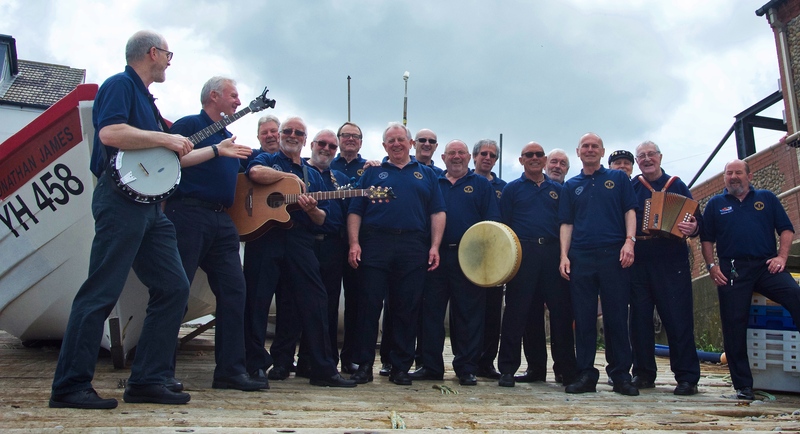 London Crew the Hog Eye Men are joining us again to sing authentic versions of shanties as they used to be sung. In other words, simple, loud and bold. Their performances are varied, genuine and entertaining. We’re always pleased to welcome Alan back to Harwich. 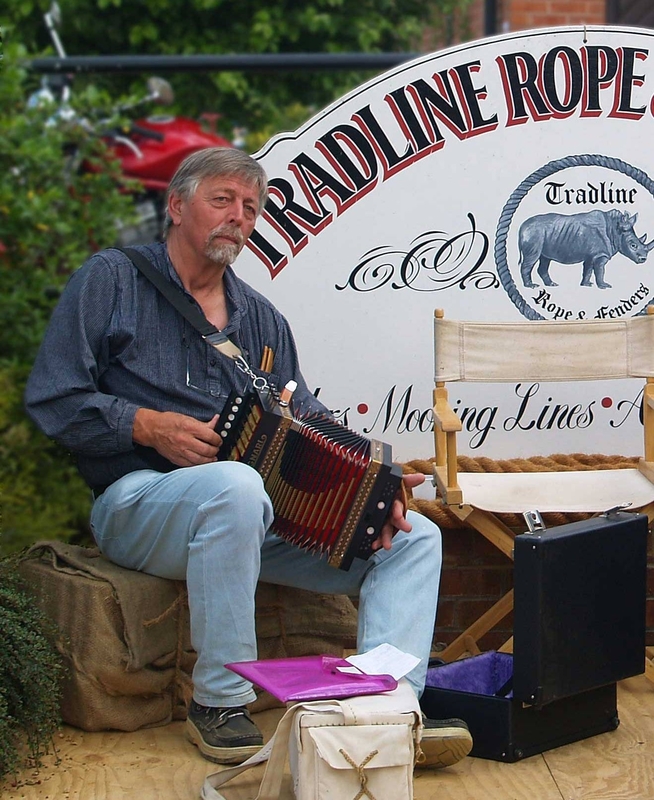 His performances are lively, inclusive and entertaining and make the shanties come alive. 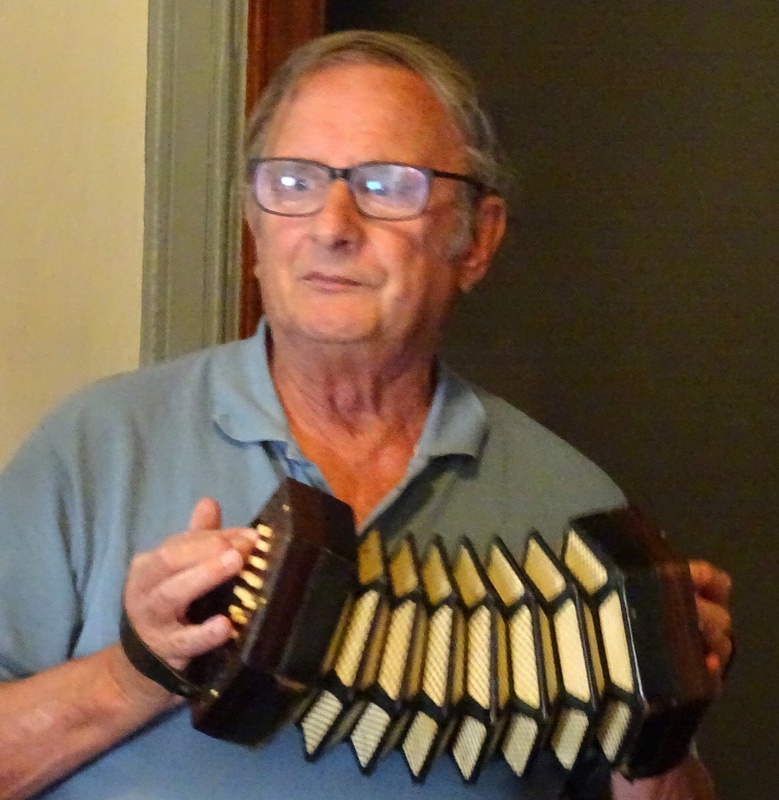 Singing sometimes unaccompanied, sometimes with concertina, Alan will transport you back to the great days of sail. 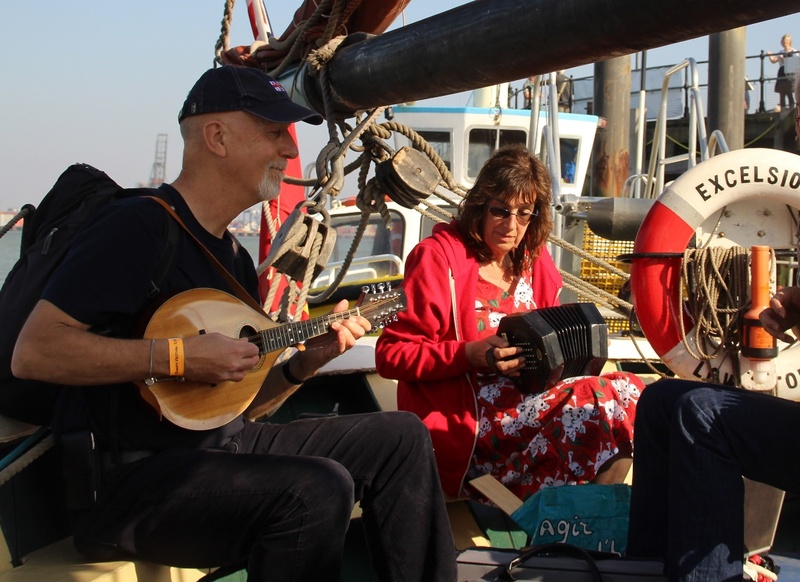 Charlotte & Spong are popular and accomplished musicians who will be singing their carefully arranged shanties and sea songs around Harwich Town over the weekend. 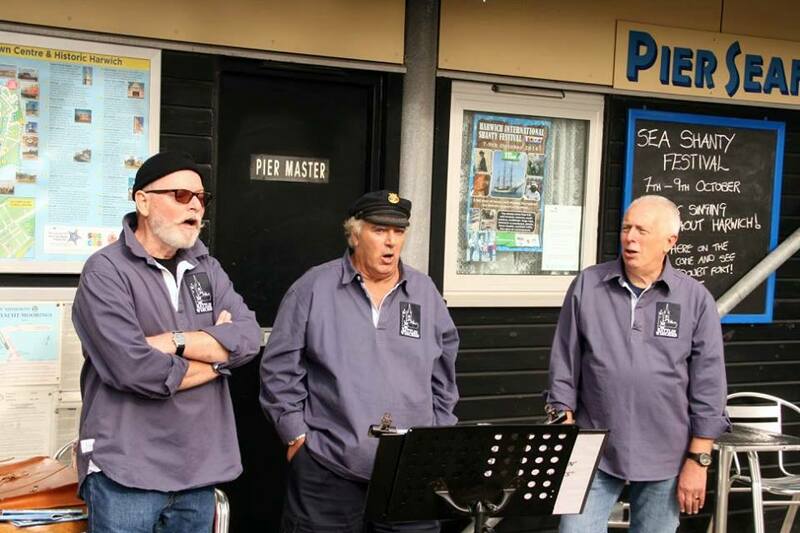 Don’t miss their regular “Shanty Karaoke” spot, featuring some of the best known sea shanties to sing along with. 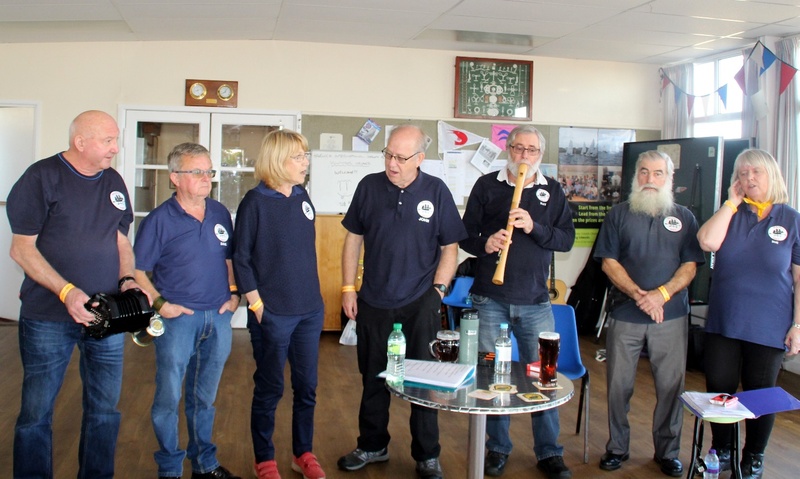 Talented and popular regulars at the Festival, Tyburn Road will be entertaining us once again with superb voices and musical accompaniment. 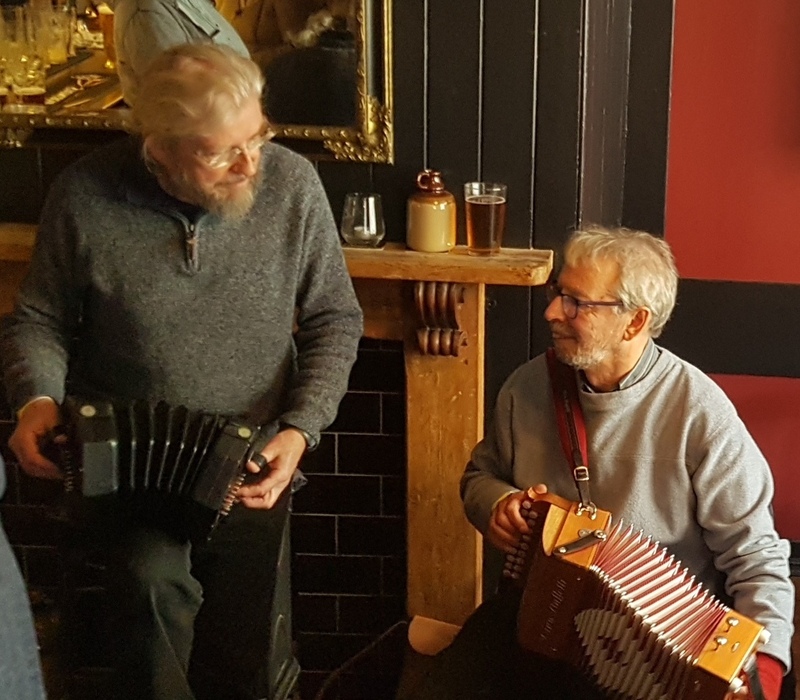 They have a wealth of experience performing, touring and researching traditional music and their love of sea songs and shanties, together with a repertoire of unusual songs and tunes makes them the perfect guests for the Festival. 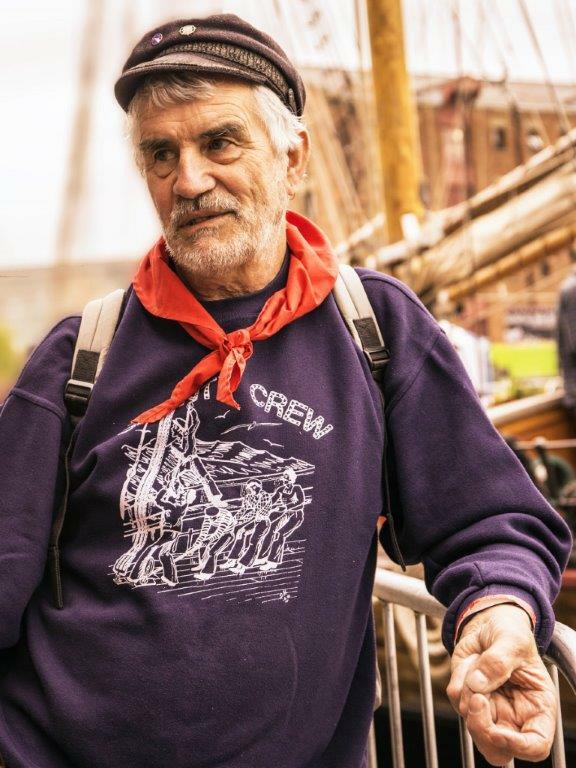 Well respected and knowledgeable on all things maritime and shanty, Chris Roche will be joining us this year to sing a few shanties and regale us with tales of actual experience on tall ships and “Rounding the Horn”. Catch him at a song session or illustrated talk. With some ten years of singing shanties and songs of the sea behind them, plus two well received CD’s, Joe, Andy, Pete, Colin, Dave and David join us again this year, from the shores of the tidal Thames in North West Kent.They are the resident shanty crew on the famous Cutty Sark in Greenwich, keeping alive the music and traditions of the great days of sail.All have sailing or sea going experience including in Pete’s case Tall Ships, Colin was the electronics engineer on Radio Caroline and Dave is a regular on the Woolwich Ferry! 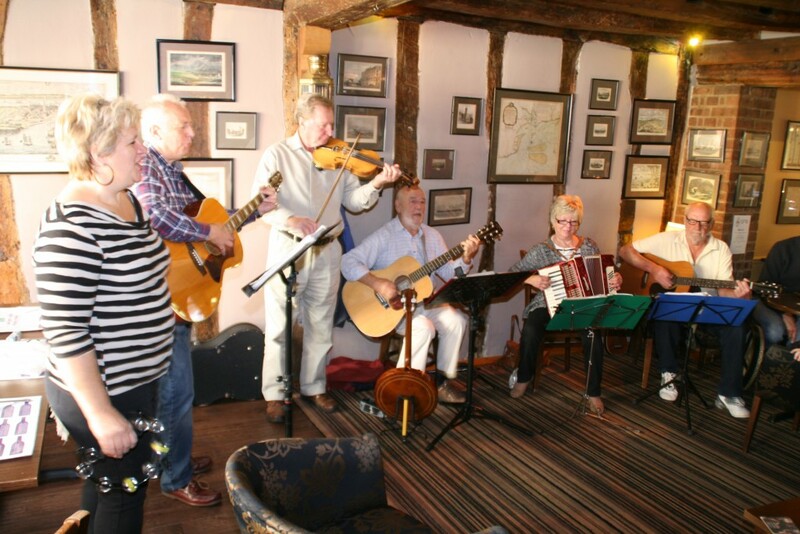 Two solo singers from Kent who pair up to perform a wide range of nautical songs and shanties at our Festival. Expect an interesting mix of maritime music and a wealth of seafaring knowledge. 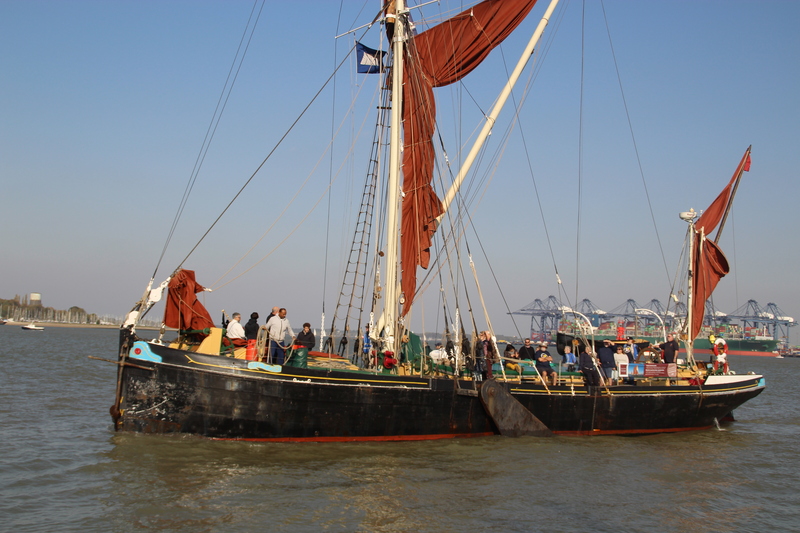 The Felix Stowaways are making the arduous crossing over the waters of Harwich Harbour once again, to take part in their favourite festival. Following on from their visit to The Netherlands last year to sing at a Dutch style ShantyCafe, they brought the format to the UK and hosted their own ShantyCafe in their hometown in April. 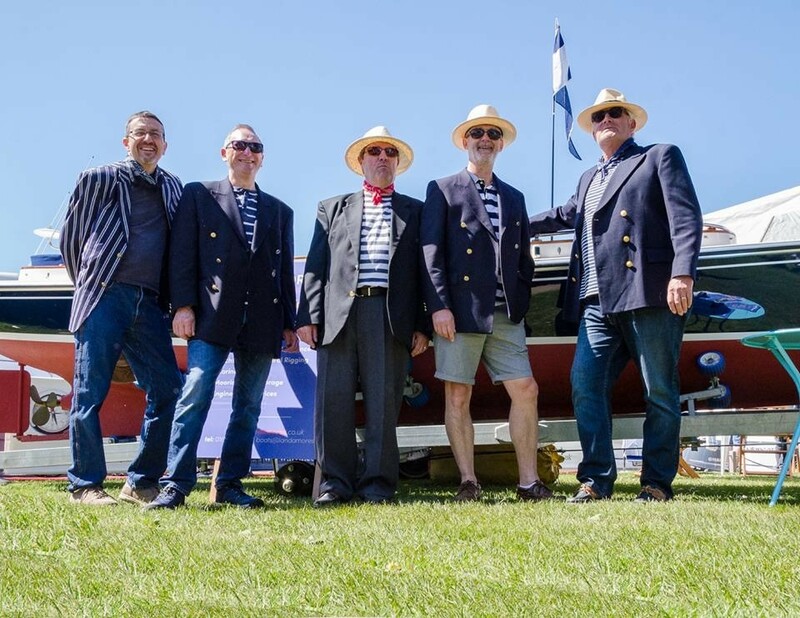 Popular local group, Motley Crew, from Brightlingsea are much in demand locally, performing at many events including fêtes, festivals, regattas, yacht clubs and barge matches. 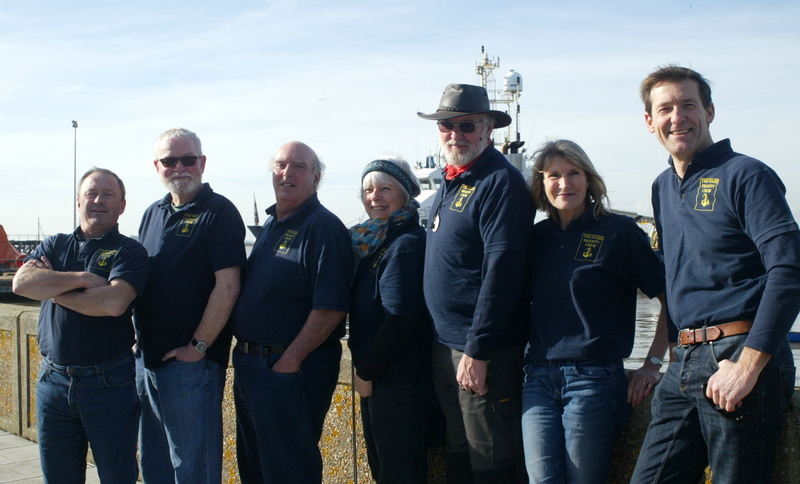 They are regular and valued supporters of the Harwich International Shanty Festival and we warmly welcome them back. Shötley Crüe are a mixed 7 piece pocket shanty band, that initially got together in the Suffolk hamlet of Shotley in 2014. Since then they have been adding to their shanty rations with songs about the sea and watery things in general, to which they attempt to bring a fresh and harmonic approach. 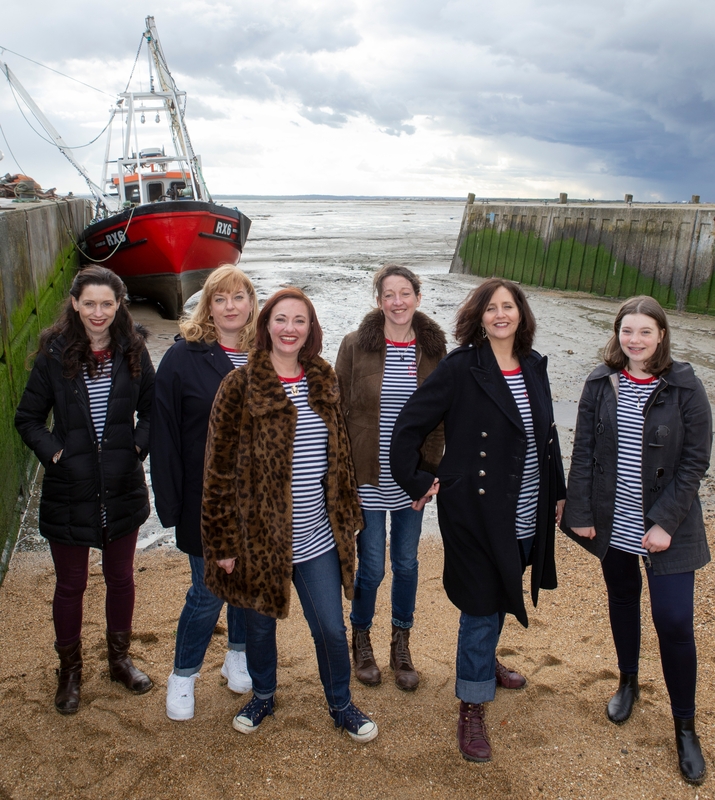 They have been toning their sea legs at festivals and folk clubs around the country, but having made their performance debut at Harwich it’s always a particular pleasure for them to play at the festival. 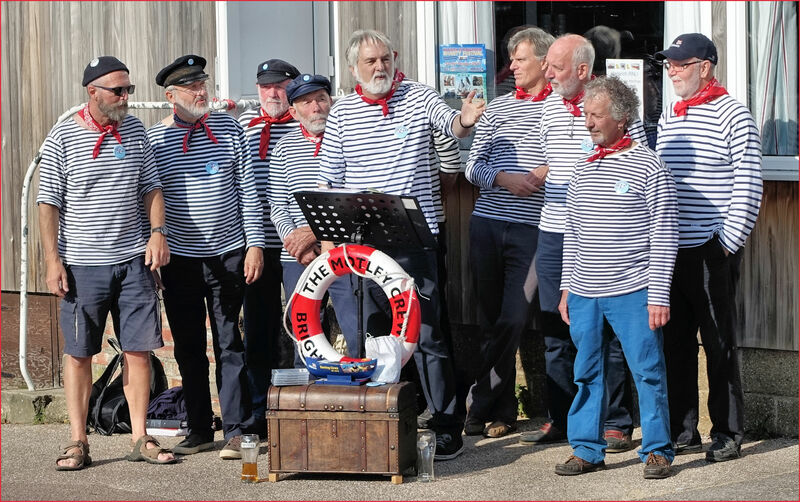 Harwich’s home grown shanty crew have been singing together now for 9 years following their inception at the 2010 Shanty Festival. A busy crew, much in demand at local events, they will be performing at several venues over the Festival weekend. 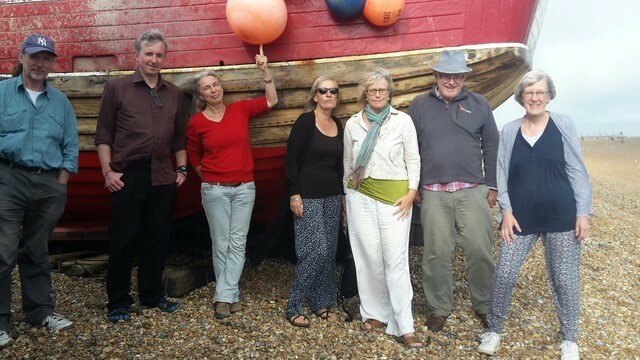 Founders of the Harwich International Shanty Festival (yes it’s all their fault!) Naze Shanty Crew have been through several different incarnations to reach the line up you see today. 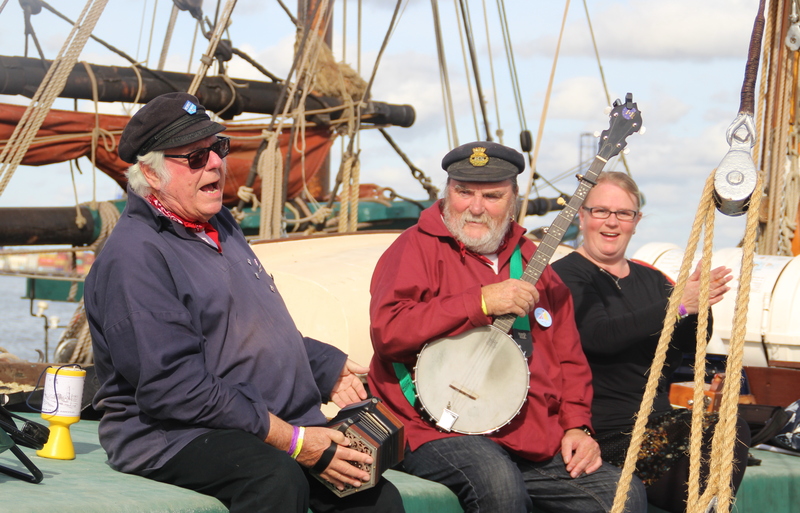 Enthusiastic exponents of the maritime tradition the crew have attended several other shanty festivals both at home and abroad, but Harwich of course remains their favourite. 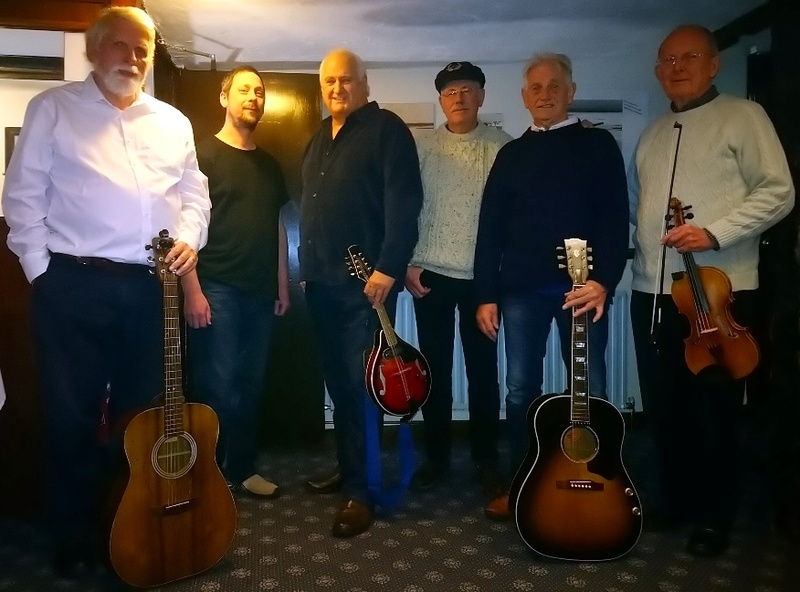 One of the most popular local groups around, Golden Rivets are lively and entertaining and their maritime sets give plenty of opportunity for audience participation. Entertaining singer and talented musician and songwriter, Ken Stephens sings as a solo artist and in conjunction with Hans Weehuizen, during the Festival weekend. You might be forgiven for thinking that some of his songs are in fact traditional shanties!